Southeast Asia is one of the most fascinating corners of the world. They share a myriad of similarities amongst their colorful cultures, from language, mannerisms, and practices. And even when some of the nations were colonized and influenced by Western powerhouses, they were still able to retain the essence of their ethnic cultures amidst the brand new civilization. But Southeast Asia food is often overlooked by travelers for more exotic options which is a pure shame. Today, these countries still boast their original cultures even in the modern age. Some of their traditions are still practiced and countless sites in this region are maintained in remembrance of their origins. Exotic won’t even begin to describe the majestic splendor of such cultures. One part of their cultures that draws people in from all around the world is their cuisine. Southeast Asia is known for such palatable dishes, from the hottest of spices to the sweetest of desserts. Going here is just as much a culinary adventure as hiking through their natural wonders. When you’re going to Southeast Asia, make sure you’ll try these one-of-a-kind Southeast Asia food on your trip. In Southeast Asian cuisines, you might find that they often use banana leaves to cook their special dishes. This is because these leaves can help magnify the flavor even more. One such dish is Cambodia’s Amok Trey. 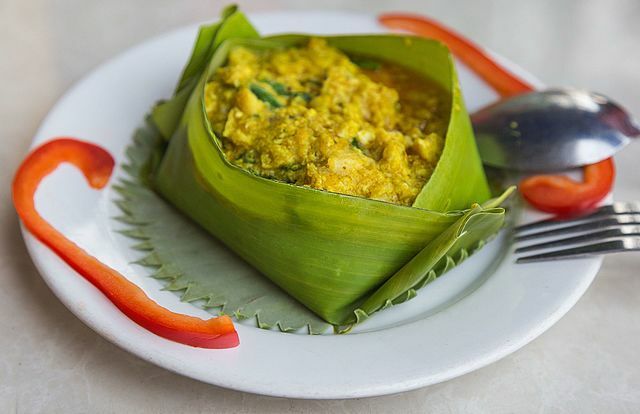 This banana-leafed Southeast asia food specialty is fish steamed coconut milk and Khmer curry paste. The spicy tanginess of the curry is lightened by the light and sweet touch of coconut milk. And since they’re steamed in banana leaves, this interplay of flavors is kept strong and subtle as you’re served it. It’s also often garnished with red bell pepper to really spice up the dish and give it an extra kick. Vietnam is a country that was colonized by France. It’s one of the very few nations that the European powerhouse was able to conquer in Asia. Because of this, many dishes in Vietnam consists of French food signatures, particularly the classic sandwich Banh Mi. This delectable snack is made out of buttered and smooth paté with barbecued pork between two French baguettes. It gives a whole new side and flavor to the classic European pastry. The paté gives it a sort of smoothness that works well with the flavorful and juicy pork. One bite and you’ll instantly understand why this is a heavy favorite among locals and tourists. 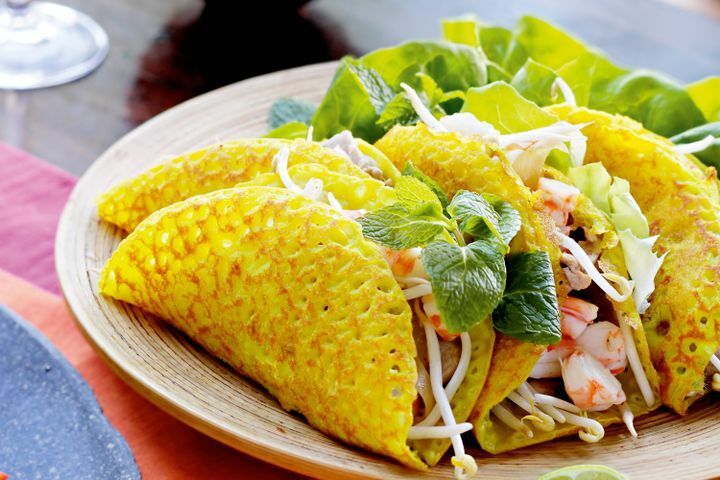 While Mexico has the ‘Burrito,’ Vietnam has the Banh Xeo. This deliciously-compact snake is a hybrid of fresh seafood and tenderized meat, giving anyone’s mouth a swirl of flavors and textures that are worthwhile. Amidst the seafood and the meat are herbs and bean sprouts that add to the crunch and salivating texture of the dish. Furthermore, with its fresh ingredients and herbs, it’s also one of the healthiest dishes in this list. You might not be familiar with it now, but this is one of the most famous dishes in the country and after bite or two, you might not be so surprised as to why. Singapore is one of those countries that’s a hotpot of other cultures, and because of such, their own cuisine is as flavorful as well. 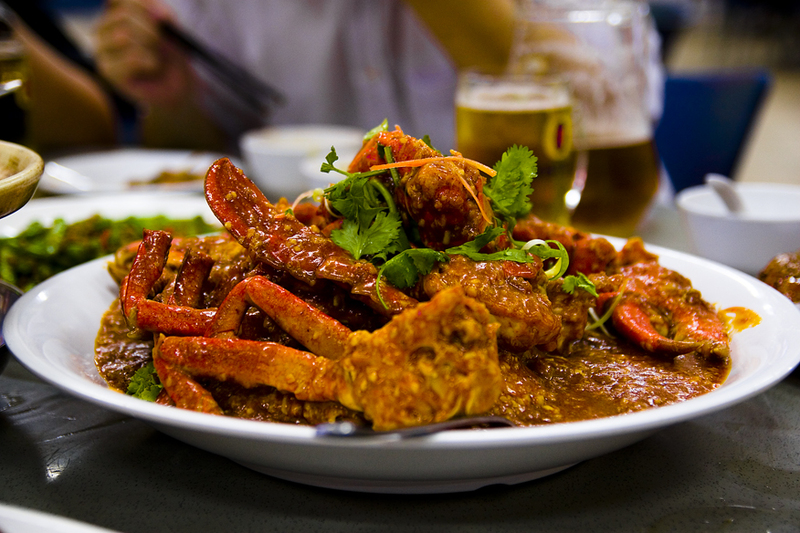 If there’s one dish that can aptly represent this country, it’s the Chili Crab. This rich dish of uncracked crustacean drowning in intense chili sauce is one that many locals and tourists salivate over. And even though it contains chili, the dish isn’t as overwhelmingly spicy as it seems. In the establishment where they serve it, you can ask the chef to lighten up the spices for a more moderate taste. But do allow him to go wild with the sauce as it’s one of the best parts. 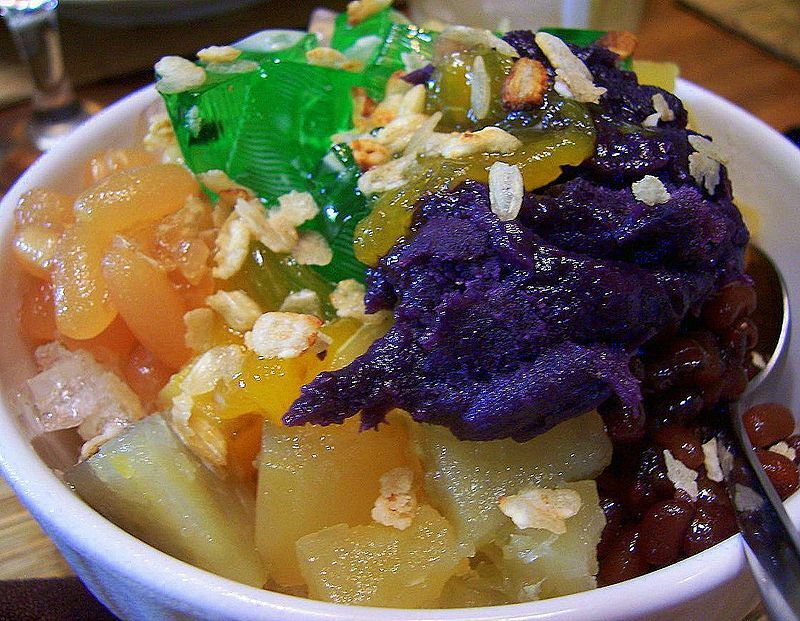 Halo-Halo-, or in Filipino translation “mix-mix,” is a famous dessert in the Philippines. It’s one of their many dishes that consists of a barrage of flavors, all harmonized together with the help of shaved ice and coconut or condensed milk. Picture it: caramelized leche flan, Ube (purple yam) ice cream, tapioca balls, coconut shavings, pinipig rice, sweetened beans, and more in one sundae glass. A fabulous interplay of flavors and textures that’s sure to give you an intense sugar rush. You just have to mix them all together to get the best out of each ingredient and voila, you have an amazing dessert. 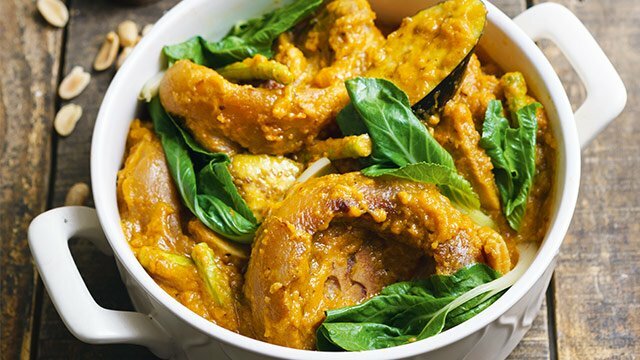 When you’re eating in the Philippines, you can never go wrong with Kare-Kare. This unique Filipino stew might seem strange at first, what with the pig feet, stewed oxtail, and pro hocks, but once they’re all swimming together in this savory yet slightly sweet peanut sauce, they’re going to be amazing. A mouthful isn’t enough to really taste these unique meat pieces. And the peanut sauce? tantalizing! No other stew comes close in confusing the taste buds on deciding whether it’s sweet or salty, It has the right amount of savory and sweetness that works best with the meat and a nice side-dish of rice. Noodles are more known to East Asian countries like Korea and Japan. 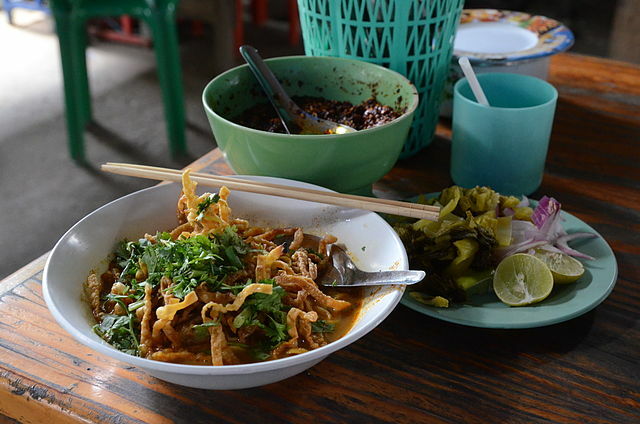 But in Laos and Thailand, there is a delectable noodle dish that’s sure to make your tastebuds flutter: Khao Soi. This spicy and savory concoction differs in both nations and is a top Southeast asia food to try while exploring this part of the world. The Laos variation has it lighter with clear-broth soup and rice noodles. While the Thailand dish, on the other hand, has the minced pork and noodles swimming in a deliciously rich pool of a turmeric-mixed coconut milk sauce. Although the latter is much more flavorful than the former, both have their strengths. For a nice afternoon snack, the Laos dish is better, but for a hearty dinner, the Thai concoction is the winner. 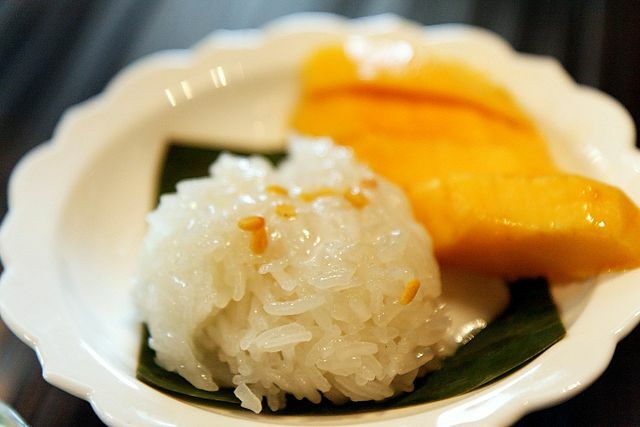 Mango Sticky Rice is ultimately the sweetest dessert in Southeast Asia food list. It has a lot of variations amongst the region’s country’s, but arguably, no other dish is as sweet as the one from Thailand. Here, instead of pouring the coconut milk on the sticky rice and served with slices of sweet mangoes, all the ingredients are submerged together in a cup. The ingredients transform into a pudding-like dish that’s far sweeter than any of its kind in any other part of the world. There’s no matching the sweetness of Thailand’s fresh yellow mangoes, and this delectable dessert is a testament to such. If you think that Great Britain is the only country that highlights tea into their cuisine, then think again. Burma is also a tea-centric country, but for them, they no only drink it, they incorporate it into their many dishes as well. 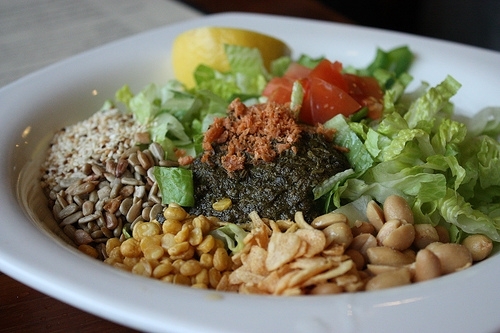 One such dish is their Teal Leaf Salad, served with peanuts, fried garlic, tomatoes, and more. This isn’t your regular salad, as oftentimes, they’ll serve it with the ingredients hardly mixed yet. You’re given the choice on which tastes will go well together, which ingredient should be the dominant taste, and so on and so forth. And beyond this melodious mix of flavors, it’s also extremely healthy as well, making it a plus for anyone’s list of must-try dishes. Part of what makes Southeast Asia amazing is their flurry of tantalizing cuisines. If you’re traveling to this region yourself, don’t forget to try these dishes and more! There’s no replacing these people’s knack of serving interplays of flavors that won’t be found anywhere else in the world. Southeast asia food is a part of what makes their cultures colorful and they’ll surely be highlights of your trip! Anthony Ong is a contributing writer for various travel publications. He’s written for websites like Mister Hint and the travel app, Find.City. His work mostly involves food and fashion amongst Asian countries. These are the best dishes while traveling. Everyone should also try at least 2-3 dishes. I wish to try mango sticky rice. Its a new dish for me. Thanks for sharing this information.